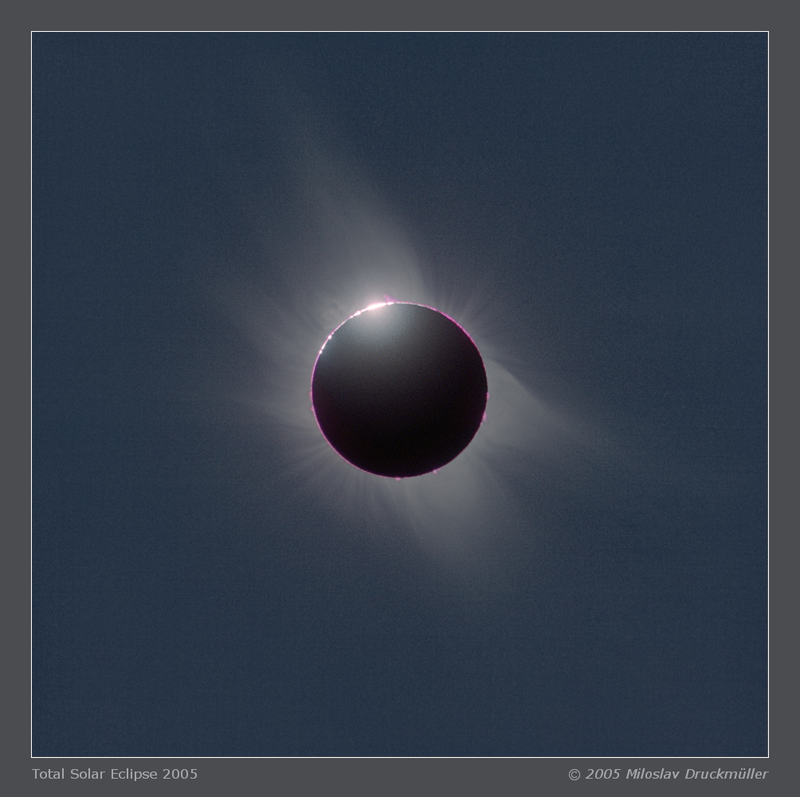 Digital photography has a lot of advantages but it is not very well suited for total solar eclipse photography. Classical negative film is still an easier way to take good eclipse images. The reason for that is the fantastic dynamic range of negative film, which is practically impossible to overexpose. 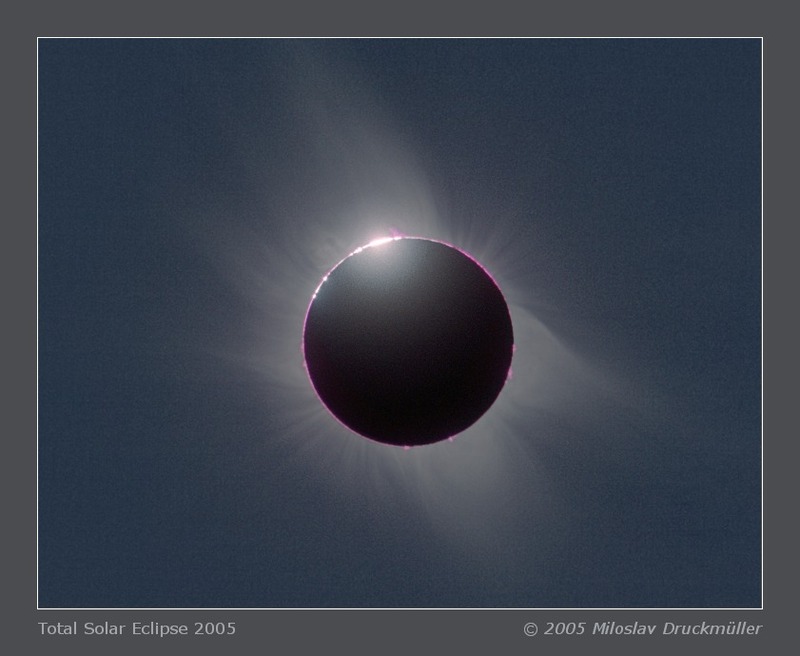 During the 2005 South Pacific eclipse I tried to use combination of a classical film and a digital camera. The solution, from my point of view, was correct. The image you are looking at is not possible to obtain using a digital camera only. It is the numerical processing result of 22 digital images and a single one image taken on a classical film. This combination makes possible to handle easily brightness ratio over one to million. Such an unique necklace of pearls is possible to see only during very short eclipse like the South Pacific one. Click on the image or on the following reference to display the higher resolution image version (1.2 MB, PNG format).